Long before Oregon became a mecca for winemakers, there was Sokol Blosser. The journey of our founders from East to West can be likened to that of the pioneers... Except that the covered wagon was really a Volkswagen bus and the roads were paved. Nonetheless, the vines thrived and the reputation of Oregon wines was born. Word spread. Devotees made the pilgrimage to the hills with the magic red dirt. A cult-like following ensued. And thus Cellar Club was born. Most importantly, Cellar Club members become a special part of the Sokol Blosser family. We are pleased to honor and reward those who love our wine. For an overview of our Cellar Clubs and perks, please click here. Already a Cellar Club member? Sign in here. Cellar Club Terms and Conditions can be found here. Sokol Blosser Winery is able to accommodate Cellar Club Memberships in the following states: Alaska, Arizona, California, Colorado, Connecticut, Florida, Georgia, Idaho, Illinois, Iowa, Kansas, Maine, Maryland, Massachusetts, Michigan, Minnesota, Missouri, Montana, Nebraska, Nevada, New Hampshire, New Jersey, New Mexico, New York, North Carolina, North Dakota, Ohio, Oregon, Pennsylvania, South Carolina, Tennessee, Texas, Vermont, Virginia, Washington, Washington DC, West Virginia, and Wisconsin. It is unlawful for us to ship to states not mentioned above. Residents of Louisiana and Oklahoma may receive shipments, but must be present in our Tasting Room when placing the order. All order shipping types will default to FedEx ground, unless otherwise selected or requested, and will ship out within 2-3 business days upon purchase. Please keep in mind Saturday and Sundays do not count as business days for FedEx ground. Takes up to 5 business days to deliver to business and residential addresses. Takes 2 business days to deliver. Takes 2 weeks to process and deliver. By law, wine cannot be delivered without an adult signature of a person 21 years or older. Once an order has shipped, Sokol Blosser is no longer responsible for managing shipping or delivery changes. All orders must be managed by the purchaser through FedEx Delivery Manager for any shipping changes. If you are concerned about temperatures in transit, we highly recommend upgrading your shipping method, as the faster transit (or our cold-chain option in the summer months) helps prevent possible freezing or over-heating of the wine. If you chose not to upgrade your shipping, you accept the risks of damage to your wine by extreme temperatures during transit. We cannot guarantee the condition of your wine if delivery is not successful on the first attempt. FedEx attempts to deliver a package 3 times, and will leave a note each time to give you an opportunity to call with any questions or change requests to your order. Shipping cost will vary depending on location, and state tax amount. All of which will apply upon check out. A tracking number will be provided via email from both Sokol Blosser and FedEx. Please track all information through what you receive from FedEx, as that is the most accurate. We cannot guarantee delivery times; it will vary depending on the shipping type and destination. For date-sensitive orders, please call us directly at 503-864-2282. Once an order has shipped, Sokol Blosser is no longer responsible for managing shipping or delivery changes. All orders must be managed by the purchaser through FedEx Delivery Manager. Click here to access. If an order is returned to Sokol Blosser, an $18 returned shipping and handling fee will be charged to the member’s card on file. If the order is reshipped out, an additional shipping fee will occur at the member’s expense. If you have any questions, please contact us at info@sokolblosser.com or 503-864-2282. Earn even more perks as a Cellar Club member with each purchase. The more you purchase, the bigger the reward. How it works: You will accrue points with each purchase. Each dollar spent converts to one point. Once you earn 400 points, you are eligible to redeem them for a variety of treats - experiences, food & more. Just for signing up, all new members of the Cellar Club automatically earn 200 points. Visit our Sokol Blosser Rewards Program page for full details on our rewards program. Exclusions may apply. Log in to keep track of your points. Cellar Club memberships make great gifts - Valentine's Day, Birthdays, Mother's Day and much more! Give us a ring to 503-864-2282 to give the gift of Sokol Blosser Cellar Club to your friends and family! Joined the Cellar Club prior to July 2014 and have questions? 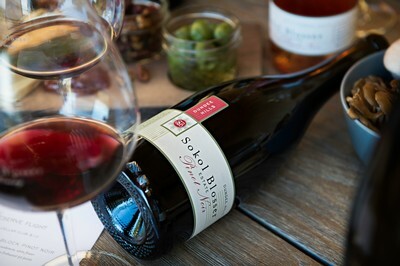 Feel free to contact us at 503-864-2282 or cellarclub@sokolblosser.com.